HomeAwardsNEWS: Metal Hammer Magazine release their top 50 albums of the year so far! NEWS: Metal Hammer Magazine release their top 50 albums of the year so far! It’s that time of year again. Metal Hammer Magazine have put out their 50 albums of the year so far for 2018, which you can read here. We’re not huge fans of massive lists, 5 or 10 for a 6 month review seems like plenty to us, but fair play there are some honourable mentions for the likes of Boss Keloid, Between The Buried And Me, Will Haven & Harms Way all of whom we’d have on our own list. The surprises come with the likes of Andrew W.K. and Ghost on the list. For our money, “Life In Exile” from Shields, released in April via Long Branch Records is the album of the year so far! 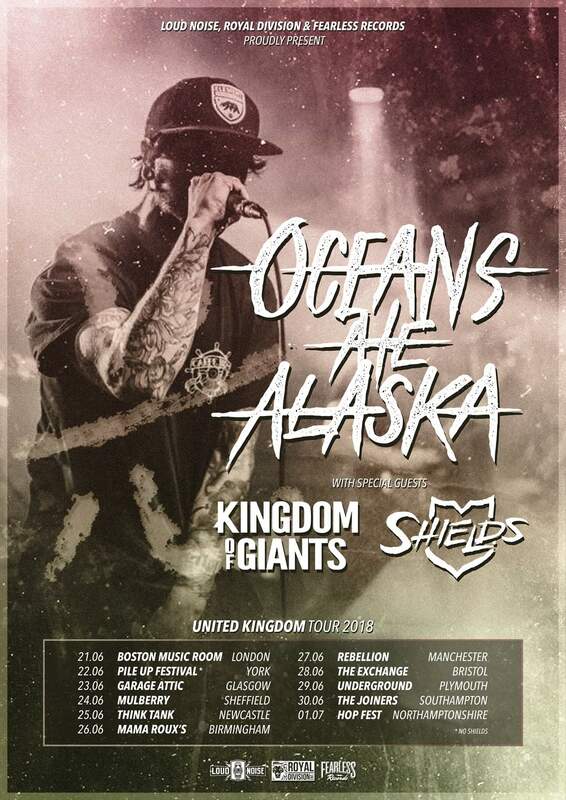 The band are out on the road with Oceans Ate Alaska and Kingdom of Giants as we speak and it will be their final run, so don’t sleep on this! NEWS: Upon A Burning Body Valentine’s Day Tee! Metal Noise Vs Metal Hammer Top 100 albums?! NEWS: Metal Hammer drop Avenged Sevenfold tribute album!